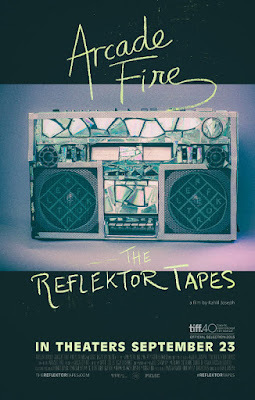 Arcade Fire's mysterious feature film, The Reflektor Tapes, will premiere at the Toronto Film Festival next month and then will be unleashed to the masses on September 23. 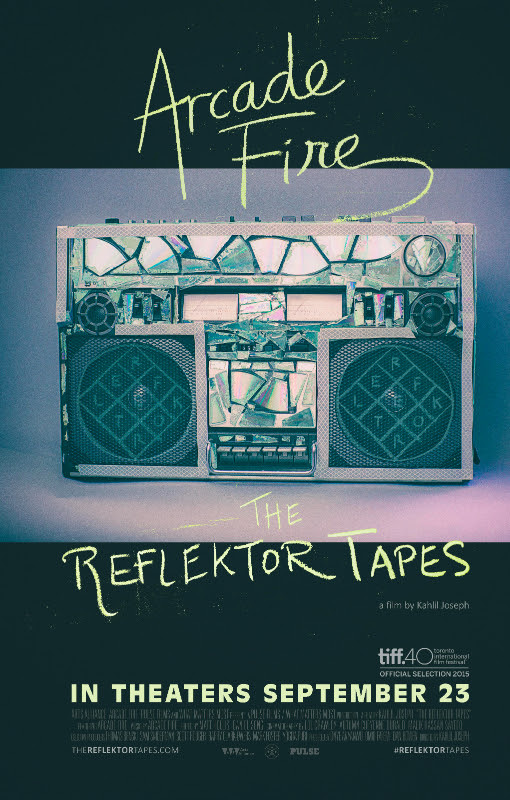 According to a press release: "The Reflektor Tapes is a fascinating insight into the making of Arcade Fire’s critically acclaimed, international #1 album Reflektor. The film recontextualizes the album experience, transporting the viewer into a kaleidoscopic sonic and visual landscape. It charts the band’s creative journey as they lay foundations for the album in Jamaica, commence recording sessions in Montreal and play an impromptu gig at a Haitian hotel on the first night of Carnival, before bringing their breathtaking live show to packed arenas in Los Angeles and London." The band released the movie poster, above, and the new full-length trailer. Take a look!